Thank you for your interest in Novel Ideas Books and Gifts. Our walk-in store is in Decatur, Illinois. If you would like to contact us with specific questions about either our books or gift items, please call us at (217) 429-1995 during regular business hours (10am to 5:30pm CST, Monday - Saturday) or email us at info@novelideasgifts.com. We invite you to visit our store in Decatur, Illinois. We are in a stand-alone two story tan brick building at the corner of East Main Street and Martin Luther King Avenue in the downtown area of Decatur. We have approximately 3,500 square feet of retail space and our own off-street, plentiful FREE parking. 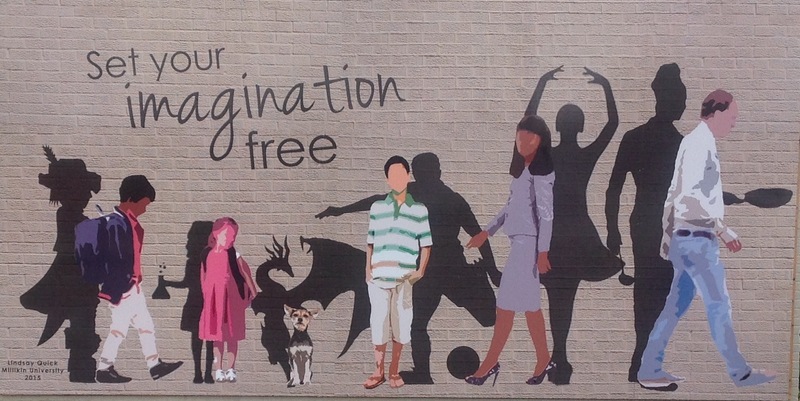 Look for the beautiful mural on the side of our building! Monday - Saturday | 10 a.m. - 5:30 p.m.